Tiles are probably the most uncontested choice when it comes to decorating your homes. 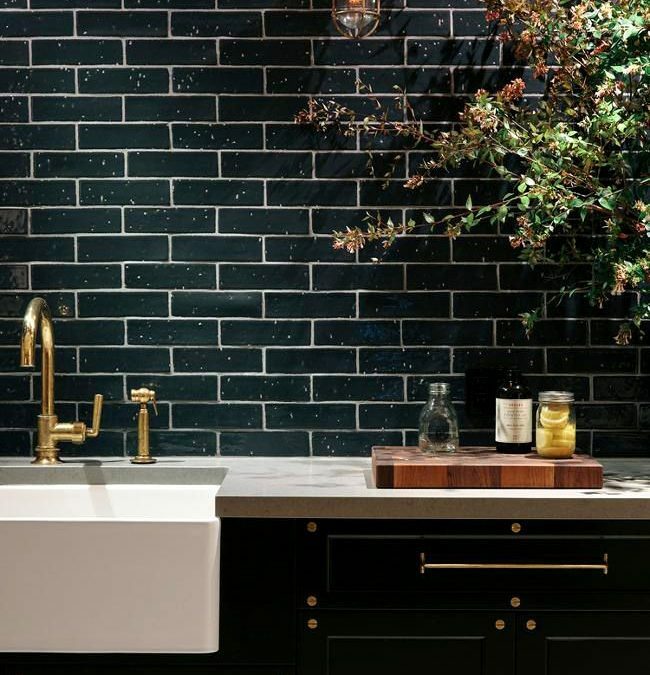 From the floors, the kitchen, the bathroom, and even the dining area and living room — these places will never be the same without tiles. Tiling, when done right, isn’t so hard a task. The only problem I could think of, is perhaps, coming up with the perfect tiling idea. They come in so many different sizes, shapes, styles, and materials; that the possibilities just seem endless. Looking for the best tiling ideas for your home is similar to looking for a few needles in a haystack. There’s so many of them that coming up with eight to share with you proved to be a challenge. 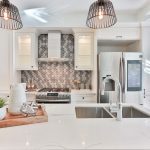 But before we get right down to business, here are a few tiling rules to get you started especially if you’re a newbie. Do note, that these rules are not set in stone. Simply put, they should only serve as a guide and you can always deviate from them if needed. Larger tiles eliminate the feeling of a cramped room. Diagonally-placed tiles give the illusion of a larger room. This is important if you are working in a small space. Lighter shades of colours also have something to do with making a room feel spacious. And now, for the tiling ideas. 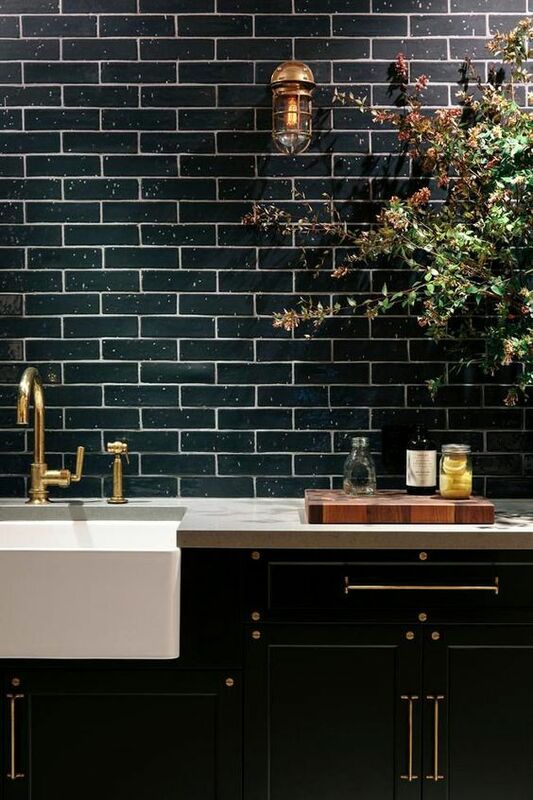 If you’re looking for a timeless design that will never go out of style especially in a bathroom, then a black and white combination is probably what you need. I always find chequerboard patterns to be intriguing and eye-catching, and this is the same effect that you want to have with these tiles. 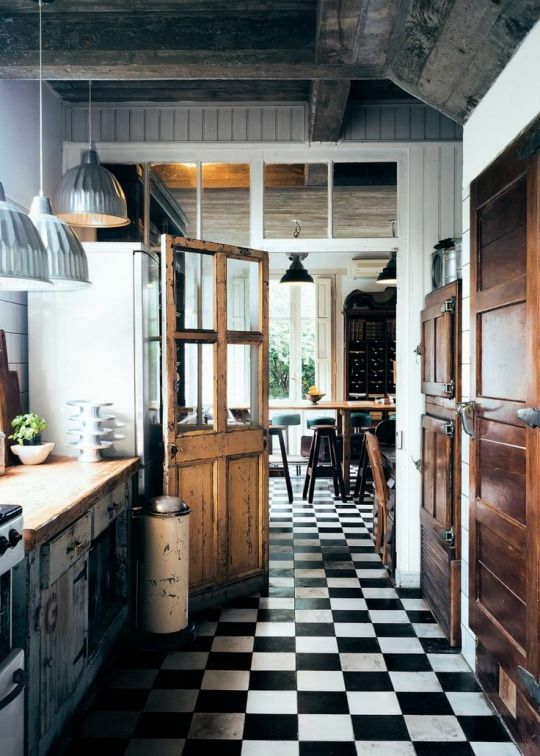 For a less intense look, you may consider putting larger format black and white tiles. Both functional and aesthetically-pleasing, zoning out a space in your home using a different tile design or colour is a good approach. In your bathroom, for instance, you can choose soft grey-brown tiles for the floor. For the tub, midnight blue is an excellent choice to zone it out. 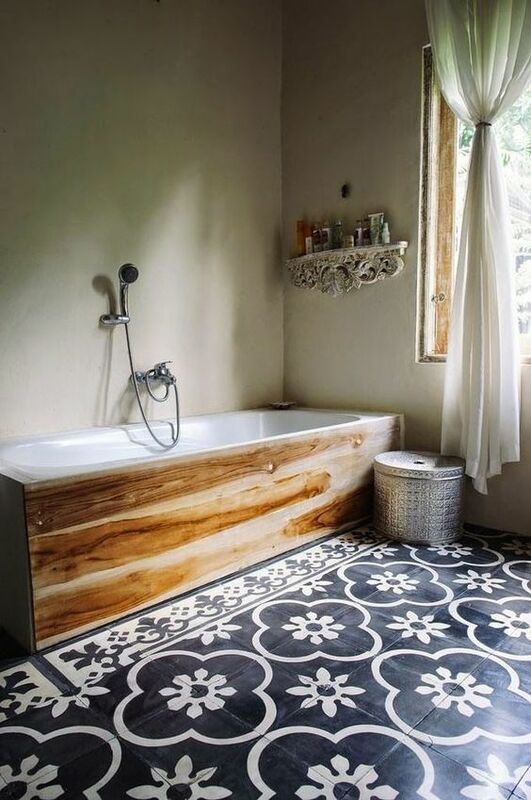 For sure, your tub will look as inviting as ever for a long soak. 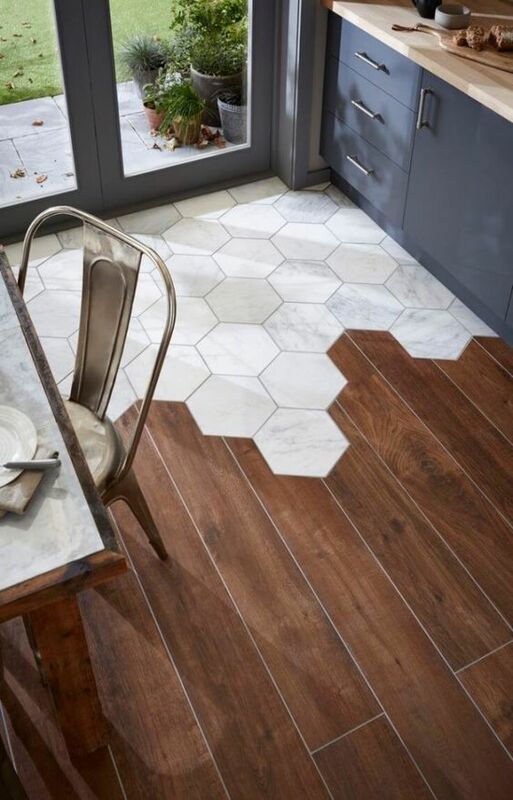 While white and other light-coloured tiles seem to be the norm, it’s not always a bad idea to innovate. Pale colours are vibrant and have that fresh look to them, just make sure to always clean the bathroom. They are also great in making a bathroom seem larger. But what if the opposite effect is what you’re after? Darker shades add a sense of drama and can make a room (bathroom, for instance) cosy and intimate. 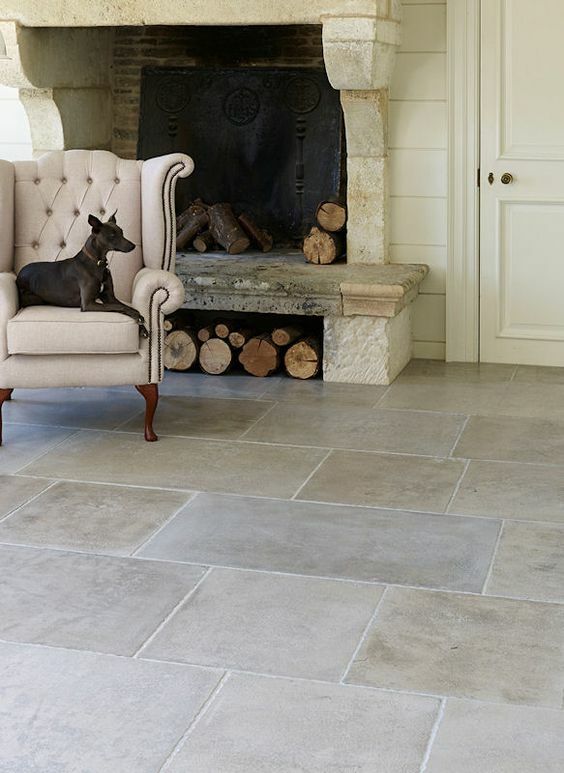 If you’re a fan of stone-aged themes, you should think about putting faux limestone tiles on your floor. Limestone is suited to a vast array of design profiles because they’re very versatile. The colour variations are just perfect in adding richness to any decor. Since limestone has been used in homes for centuries, incorporating this theme is like travelling back in time. Since we already have stone-looking tiles in our list, how about wood-inspired ones? 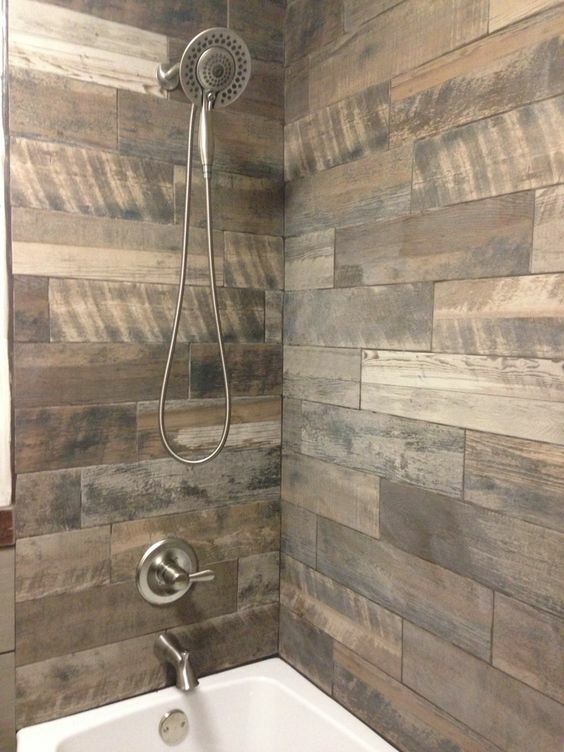 Contemporary, modern, traditional, or rustic; faux wood tiles can definitely suit what ever your preference may be. Another decor that’s been around for the longest time is flowers. They may change over time, but one thing is for sure — they’ll never go out of style. Contrary to what most people believe, flowers aren’t just for ladies. And that’s true when it comes to tiling designs as well. With the right design and proper placement, florals can also be a nice addition to a masculine home. Believe it or not, some people prefer things being simple. If you’re one of those who hates pattern but at the same time, doesn’t want to settle for a very plain-looking setup, then consider adding some texture instead. It is a very effective tiling style, especially when combined with proper lighting. This way, you’re still able to achieve a subtle sense of style with the colours and patterns out of your sight. 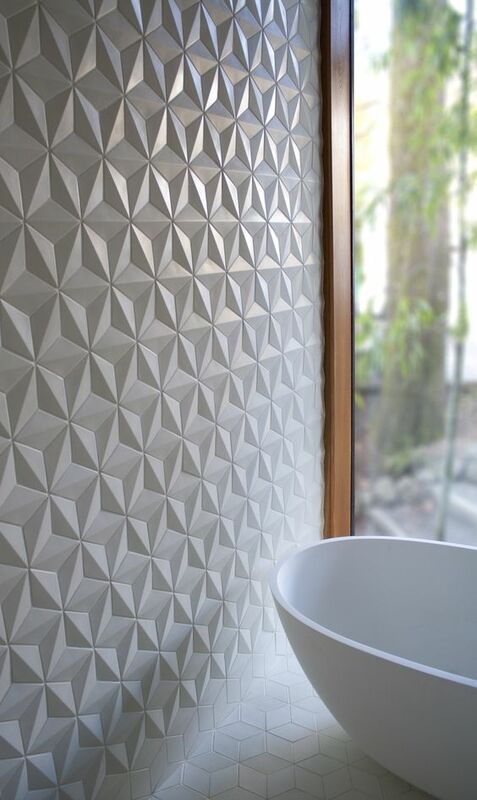 Using these uniquely shaped tiles can instantly transform an ordinary and plain-looking bathroom into a modern one. If you’re familiar with sci-fi films or modern video games, you probably have noticed that most of them incorporate hexagonal shapes as settings. Honestly, I’m not sure what the real deal is. Interestingly enough, these shapes have that futuristic vibe to them. 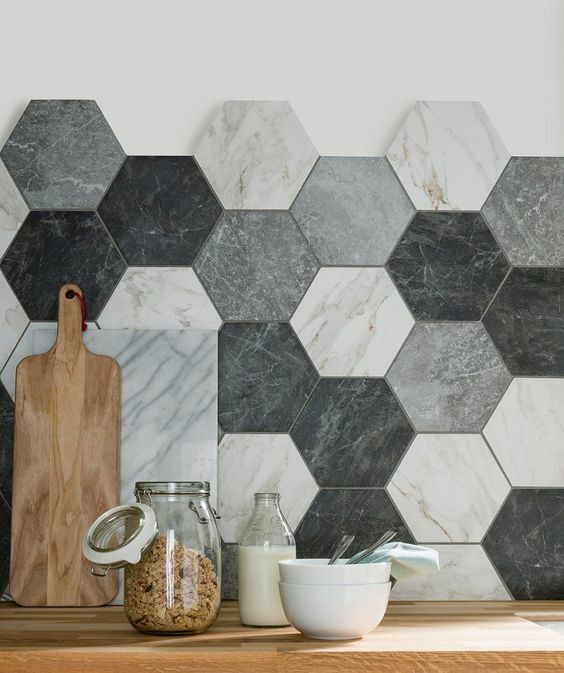 So if you’re in for a sophisticated and modern theme, hexagonal tiles are a must have. So there you have it. 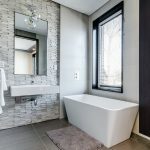 These are my top picks for the most creative tiling and bathroom decor ideas for your home. Do note, that beauty is in the eye of the beholder. What I find attractive may be different from your taste. 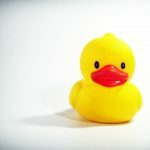 After all, there are so many different patterns and styles that you can choose from when it comes to tiles. But I do hope that you’d find something on this list that will fit your fancy.